Marlene Robbins, a lady in her 80s, is now living in BUPA Edithvale, an aged care facility in Melbourne Australia. Because of her age and due to the fact that she suffers from dementia, it was hard for Marlene to communicate with her family and loved ones, especially her older son Mark who lives in Toronto, Canada. Marlene was also a technophobe (one who refuses to use technology), and at first was reluctant to use the Konnekt Videophone. 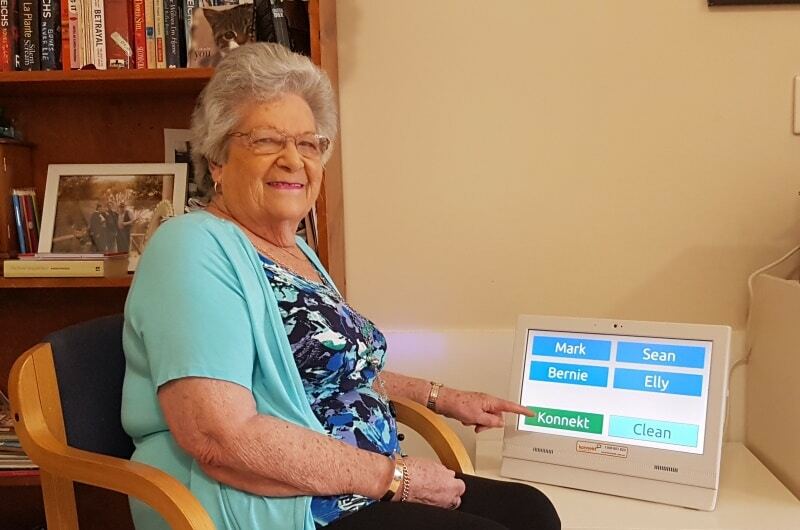 Because Marlene lives far from her children, her younger son Sean was interested in the Konnekt Videophone — a product that his Mom first used during a demonstration at BUPA Aged Care — and so he decided to try it out for his Mom. 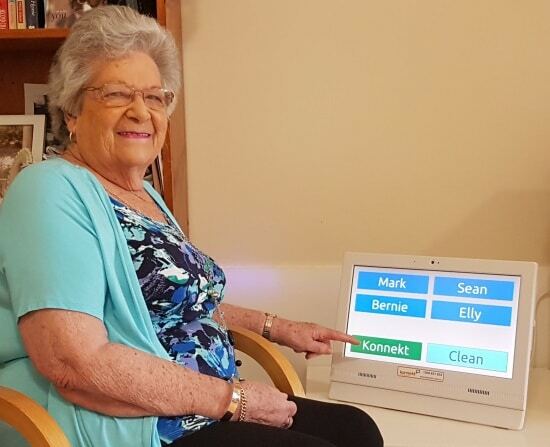 After just a few days, Marlene loved her Konnekt, especially being able to see the faces of her children and grandchildren. as said her by son, Sean. The video phone has allowed Marlene and her loved ones to call and see each other, and ensure that Marlene is happy and healthy.